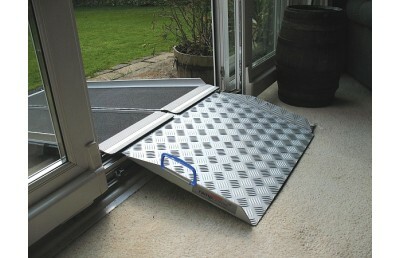 This doorline threshold ramp rests securely on the threshold, giving a secure, stable route into the home or business. 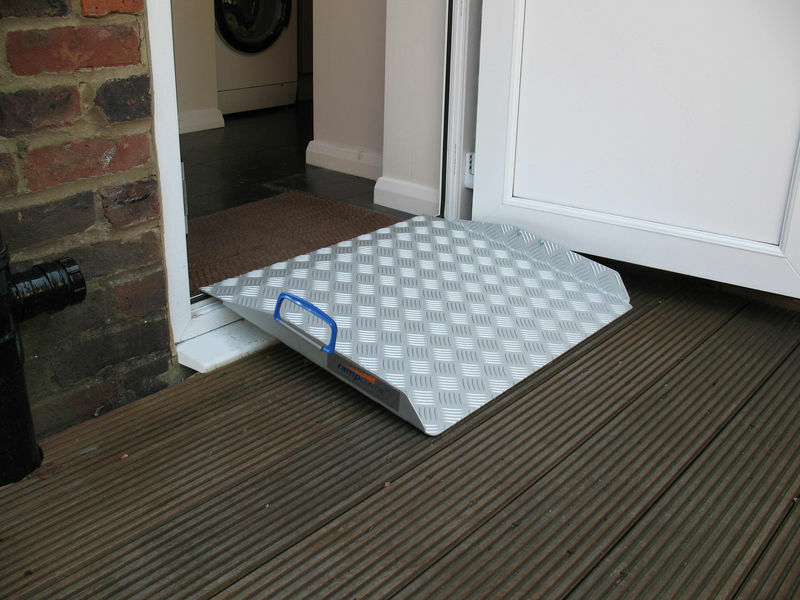 It creates an ‘up and over’ access route through both hinged and sliding PVC type doorways, with a strong edge nosing that can be used with a second ramp. 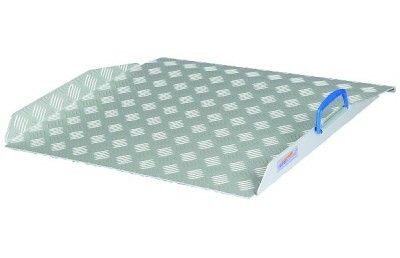 Its weight makes it easy to deploy, and its (foldaway) carry handle makes it very portable. No need to worry about damage to the doorway - the underside of the ramp has a rubber anti-slip surface that secures on the threshold but protects the doorframe.